The long-term goal of our research is to elucidate how genomic and environmental variation of RNA regulatory networks impacts phenotypic traits and diseases. We are a hybrid computational and experimental lab. We combine genomic, bioinformatic, molecular, and network approaches to study mRNA processing and post-transcriptional gene regulation in mammalian cells. We develop novel computational and statistical methods for analysis of massive genome and transcriptome data. We integrate computational studies with high-throughput and experimental research to systematically investigate the variation and dynamics of RNA regulatory networks between species, within human populations, and in response to developmental and disease signals. 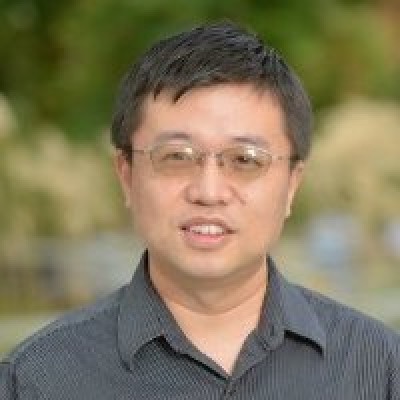 Dr. Yi Xing received his Ph.D. training in Bioinformatics with Dr. Christopher Lee at UCLA (2001-2006), and his postdoctoral training with Drs. Wing Hung Wong and Matthew Scott at the Stanford University (2006-2007). Dr. Xing has an extensive publication record in bioinformatics, genomics, and RNA biology. He serves as a regular member of the NIH Genomics, Computational Biology, and Technology (GCAT) grant review panel. 29. Packer AN., Xing Y., Harper SQ., Jones L., Davidson BL. (2008) The bi-functional microRNA miR-9/miR-9* regulates REST and CoREST and is down-regulated in Huntington’s Disease. Journal of Neuroscience. 28: 14341-14346 [journal] [pdf] [This Week in the Journal of Neuroscience].